The Galveston Bay Foundation reclaims shucked oyster shells from local seafood restaurants for restoration projects in the Galveston Bay estuary.​ Photos courtesy of Texan by Nature. An Austin-based conservation nonprofit, founded by former First Lady Laura Bush, recently announced the selection of its 2019 Conservation Wranglers. Texan by Nature was founded in 2011 and aims to bring business and conservation together to promote stewardship of Texas' natural resources, according to its mission statement. "I like Texan By Nature and their conservation programs," said Ben Sandifer, a Dallas-based conservation watchdog and founder of the Dallas Trinity Trails blog. "They do great work with companies, NGOs and private landowners to develop all kinds of habitat projects for fauna like the Monarch Butterfly. That would never happen without the forward thinking efforts of Laura Bush. It is wonderful how that organization has really spearheaded interest with larger land holding entities to preserve habitat." 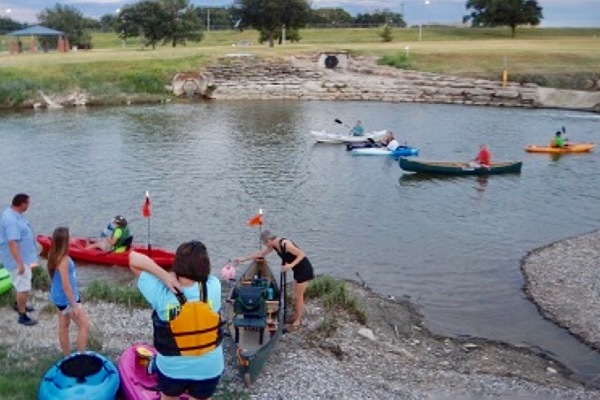 The six selected 2019 Conservation Wranglers include the Dallas-based Trinity Nature Conservancy for its Trinity River Paddling Trail. With the support of local municipalities, the Trinity Nature Conservancy launched its Trinity River Paddling Trail project in 2018 with the goal of establishing a 127-mile paddling trail along the Trinity River. The nonprofit says the ambitious project could eventually provide recreation, conservation and education opportunities for all of Dallas-Fort Worth. "The paddling trail is a result of the NCTCOG and other entities joining forces for a common good," said Sandifer. "Will it ever come to fruition? Maybe. Some of the planned launches and takeouts are in areas where some engineering, design and construction would need to occur to facilitate canoe/kayak opportunities." Aaryaman Singhal, COO of Groundwork Dallas, praised the paddling trails program. “After many years of hosting cleanups and partnering with the City of Dallas, our project at Frasier Dam is now open to the public for recreation. We’re excited that paddlers have taken such a keen interest in this area for water activities,” he said. Each of the recipients will receive 12-18 months of tailored support and resources including connections to technical expertise and industry support; recognition and participation in annual Conservation Wrangler Summit and Celebration; TxN seal of partnership; op-ed piece promoting individual initiative; letter of support from TxN leadership; and content and collateral cross promotion via TxN channels including social media. Texan by Nature 2019 Conservation Wranglers were selected, in part, based on the following criteria: Texan-led conservation initiative; benefits community by providing tangible returns for people, prosperity, and natural resources; reaches new and diverse audiences; science-based; measurable process and conservation outcomes; partnership between community, business, individuals, and conservation organizations. Texan by Nature will honor the 2019 Conservation Wranglers on Nov. 13, at the George W. Bush Presidential Center in Dallas. The Dallas-based Trinity Nature Conservancy is among the recipients of Texan by Nature's conservation recognition program. The Trinity River is the longest fully-contained river in the state of Texas, flowing through 18,000 square miles of watershed and through five major eco-regions. This project will create paddling trail connectivity and increase river accessibility, resulting in increased public education and awareness of the importance of the Trinity River and its surrounding ecosystems. TNC hopes the increased awareness will result in efforts to enhance water quality, in addition to increase conservation efforts along the river. TNC hopes to gain National Recreation Trail designation from the National Park Service. Long-term goals include an extension of the paddling path to reach the river’s terminus into Galveston Bay and the Gulf of Mexico. TNC is seeking partners, volunteers, and funding for the project. 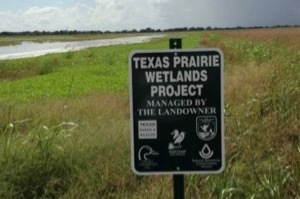 Established in 1991, the Texas Prairie Wetlands Project is a collaborative effort between Ducks Unlimited, Inc., Texas Parks and Wildlife Department, U.S. Fish and Wildlife Service, Gulf Coast Joint Venture, and the USDA-Natural Resources Conservation Service (NRCS). The primary goal is to restore, enhance and protect shallow, seasonally flooded wetland habitat on private lands along the Texas Gulf Coast. These ephemeral wetlands provide critical wintering and migration habitat for thousands of waterfowl, shorebirds and other wetland-dependent species, in addition to water filtration and other ecosystem services. TPWP provides cost-share assistance to private landowners and technical advice from partners. The project has delivered more than 83,000 wetland acres in the region and is seeking additional engagement with landowners, landowning businesses and corporations along the Texas Coast. Located in the Chihuahuan Desert, which typically receives less than 9 inches of rain a year, El Paso is a city that has long grappled with water security. In recent decades, municipal water planning has led to increased resource diversification, expanded water reclamation, passage of conservation ordinances, new plumbing codes for water efficiency in new homes, as well as rebate and incentive programs to cut water consumption. With these measures in place, El Paso has successfully reduced per-person residential water use by 35 percen. To continue their efforts and incentivize water conservation, the city created the Certified Water Partner program with the vision of engaging commercial and industrial customers by raising awareness of cost-reducing water conservation practices and giving positive recognition to businesses for implementing them. 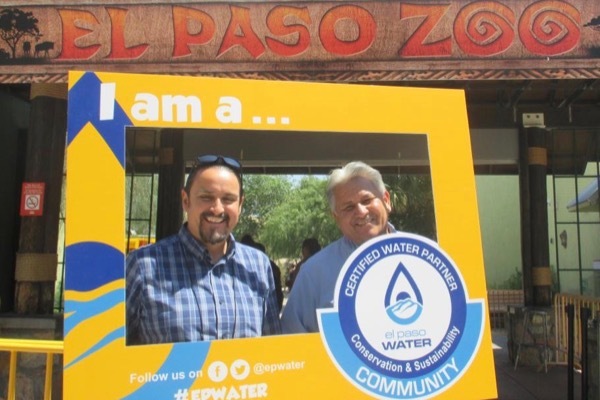 The Certified Water Partner Program is seeking increased visibility to better reach El Paso businesses and spread the message of water conservation to other Texas communities. Oyster reefs are an important component of healthy estuarine ecosystems, filtering contaminants from the water, protecting shorelines, stabilizing sediment, and providing food and shelter for other species. Despite their importance, oyster reefs are one of the most threatened marine habitats in the world, with documented losses of 85 percent globally due to extreme weather and unsustainable harvesting. 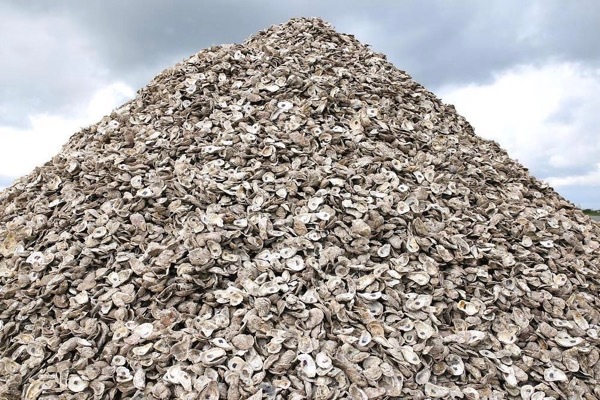 The Galveston Bay Foundation reclaims shucked oyster shells from local seafood restaurants through their recycling program, which are used in restoration activities throughout the Galveston Bay estuary. Since 2011, GBF has collected over 900 tons of oyster shells, of which over 60 percent have already been incorporated into reef restoration projects. GBF’s Oyster Shell Recycling Program aims to raise awareness about oyster reef restoration and recruit new restaurant partners in the Houston-Galveston area. Located 13-miles northeast of South Padre Island, the 1650-acre Rio Grande Valley Reef is the largest artificial reef off the Texas coast. Since 2014, Friends of RGV Reef is dedicated to the ongoing habitat restoration of this important fishery by implementing comprehensive science-based management of this Gulf ecosystem. Historically, this low-relief nursery reef was comprised of sandstone, clay, caliche and associated soft coral cover. This created valuable habitat for juvenile Red Snapper and other reef fishes. 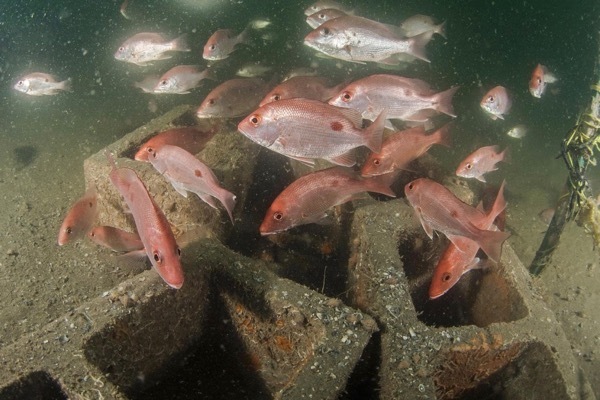 However, this low-relief material had been severely degraded by trawl fishing in recent decades, drastically reducing juvenile snapper survivorship and recruitment. Friends of RGV Reef combat this loss by deploying artificial reefing materials of different concentrations and sizes, ranging from intentionally sunken vessels to concrete rail ties and cinder blocks. Diverse, complex reef substrate can provide habitat for snapper of all ages and sizes, in addition to habitat for hundreds of other species of fish, invertebrates, and turtles that frequent the reef. Friends of RGV Reef is seeking to raise awareness of this ecologically and economically important reef, and to secure material, financial, and academic support for their restoration efforts. 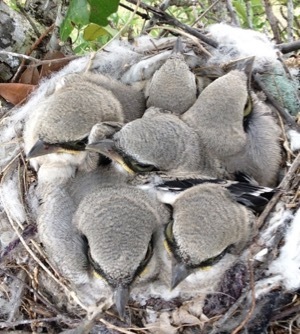 In the last century, grassland birds have experienced greater population losses than any other North American avian group, with some species declining more than 90 percent. Though many factors contribute to population declines, the primary cause is the widespread loss of quality native grassland and shrub savanna habitat. Introduction of non-native grasses, fire suppression, overgrazing, and cropland conversion have reduced this important habitat to less than 3 percent of its pre-settlement land area. Since 2012, in response to these threats, the Oaks and Prairies Joint Venture flagship Grassland Restoration Incentive Program has engaged partners and landowners to restore privately-owned grasslands across the state. GRIP provides financial incentives to landowners for implementing grassland bird habitat practices on their lands, in addition to technical support from partner organizations. OPJV is seeking to raise awareness of their successful restoration efforts and reach other Texas communities with their message of grassland conservation for bobwhites, songbirds, pollinators and other wildlife.